Originally designed specifically for reaching those hard to reach screws on carburetors, the Motion Pro 90 Degree ¼ Hex Driver turned out to be a much more versatile tool than originally intended. The Motion Pro 90 Degree Hex Driver has a shallow, ¾ depth that allows you to reach into the tightest of spaces. This shallow depth combines with the 17 ½ length to make sure that there are very few fasteners that will still be out of reach. At the end of the tool you will find a gear drive that you can turn from the handle. Turns can be made in precise 22.5 degree increments thanks to detent, but this can be easily removed if you prefer a smooth, free spinning feel without the clicks. The gear drive connects to any of the six included bits, one of which is a ¼ square drive adapter for limitless versatility. 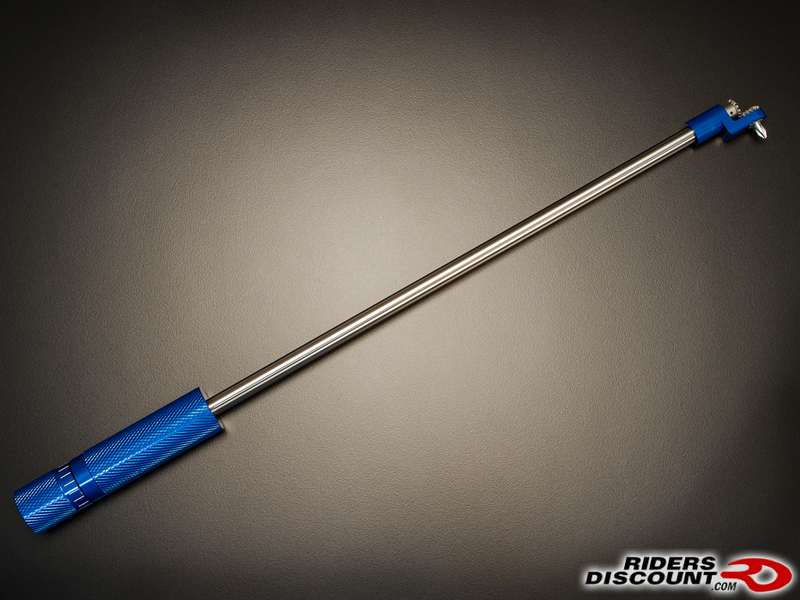 One thing to keep in mind is that this hex driver was originally designed for carburetors, so it wont be the best choice for working on large or seized screws and bolts, but its 50 inch/pound torque limit makes it perfect for any of the smaller, hidden ones you might come across. Make your next encounter with a hard to reach fastener much less frustrating by picking up a Motion Pro 90 Degree Hex Driver today! These arent listed on the RidersDiscount.com website yet, but you can get yours for just $55.00 shipped in the lower 48 states by calling Brad at 866.931.6644 ext. 810, or by sending a PM through the forum. 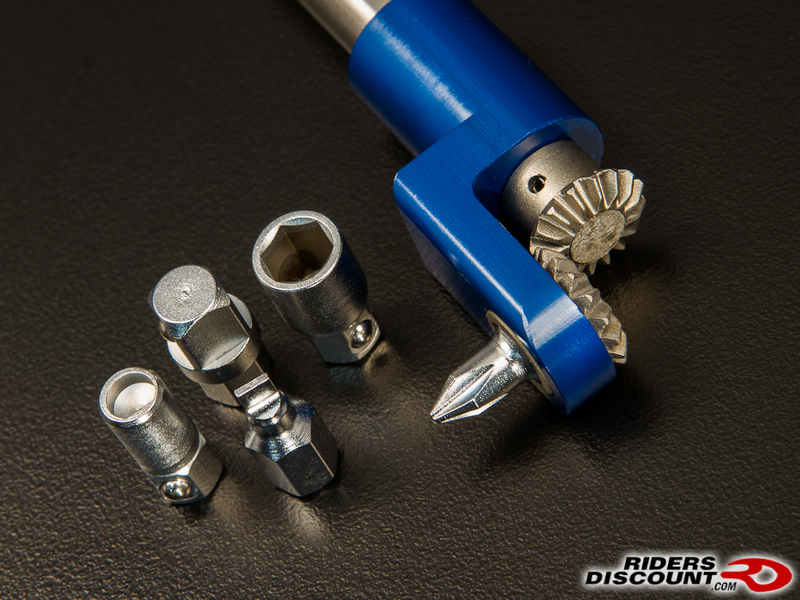 You can also feel free to shoot an email to FORUM at RIDERSDISCOUNT dot COM with Motion Pro 90 Degree Hex Driver in the subject and well get back to you right away! 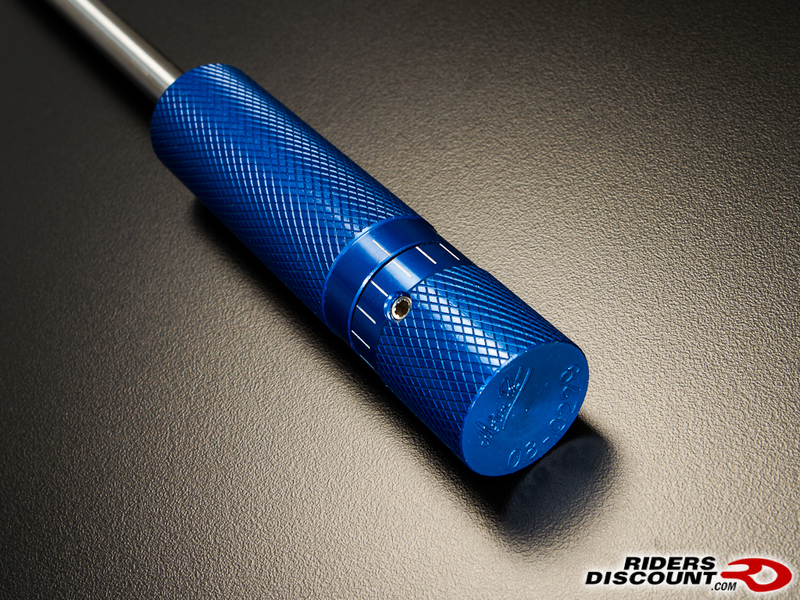 The Motion Pro 90 Degree Hex Driver - $55.00 shipped anywhere in the lower 48!